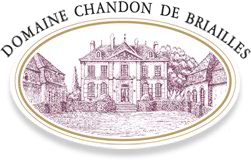 François de Nicolay and his sister and winemaker Claude described 2009 as "one where we had an excellent flowering, which is to say short, sweet and uniform. This always makes for easier harvests as the fruit quality is consistent. We picked between the 10th and the 17th of September and brought in a bit less yield than normal though this is probably due to the now full conversion of the domaine to biodynamic farming. The lower yields may very well have helped with the equilibrium as our post-malo pHs are excellent. Sugars were also quite good as everything, including the Savigny villages, came in between 13 and 14% and thus nothing was chaptalized. The vinifications were easy and we destemmed on average about 40% of the fruit though the percentages did vary from wine to wine during the 15 to 21 day cuvaisons. One of the things that surprised us is how dark the colors are even for the wines where we kept the highest percentage of stems.” [Stems usually absorb anthocyanins and thus wines vinified with them are typically lighter in color.] (David Bowler Wine, www.bowlerwine.com, NY, NY; Beaune Imports, www.beauneimports.com, Berkeley, CA; Berry Brothers & Rudd, www.bbr.com, and Haynes, Hanson & Clark, www.hhandc.co.uk, all UK).